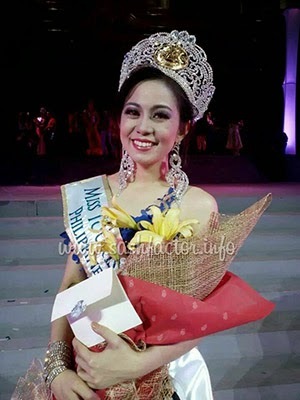 Maria Angela de Hitta of Lagonoy, Camarines Sur, was crowned as the Miss Tourism World Philippines 2014 at the Mall of Asia Arena in Pasay City earlier this week. De Hitta, who is the eldest daughter of Lagonoy Municipal Councilor Manuel de Hitta, finished her nursing degree at San Juan de Dios in Pasay City. 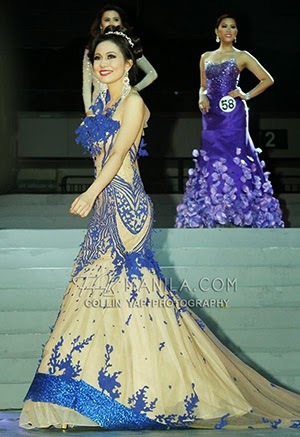 The 24-year-old registered nurse also won the Best in National Costume award with a gown made of sugbo or tiger grass, the indigenous plant of which Lagonoy’s famous soft brooms are made. 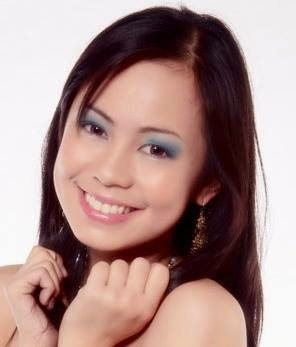 Miss Tourism World Philippines is a pageant that responds to the government’s call to promote tourism, culture, and art among Filipinos. 6th runner-up: Grapes Pacara; 7th runner-up: Lorita Mae Coronel; 8th runner-up Mary Grace Jedaver Opingo; and 9th runner-up Jonalyn Ortega.